I saw a post on Facebook this week of a clockwork dragon. Really – a dragon made out of recycled watch parts. Created by Sue Beatrice. Made entirely out of old watch parts. 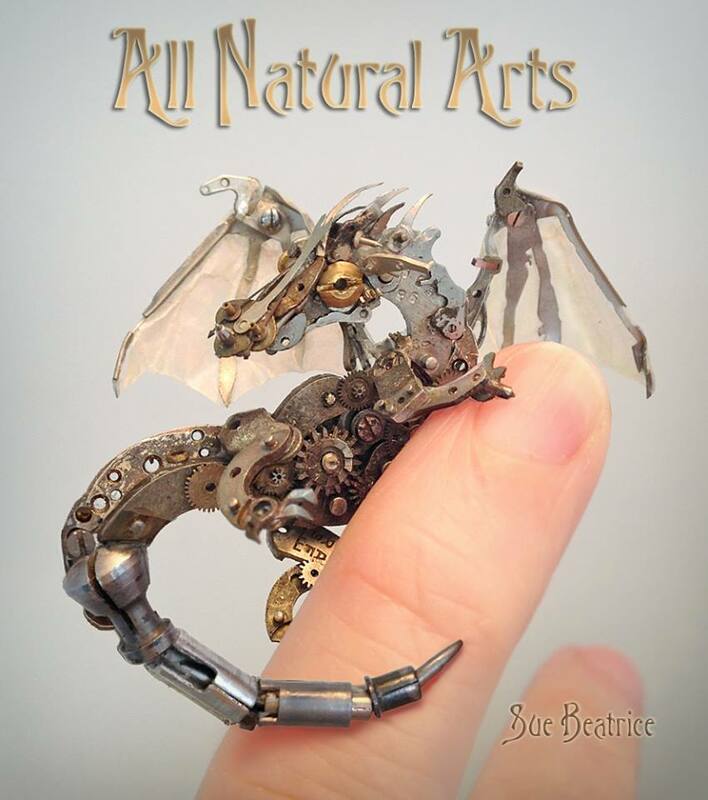 There’s a new dragon hatchling at All Natural Arts! This little fella is part of a commission and you will see the final piece posted in a few days. The “skin” of his wings is made from the waxed parchment used to wrap watch parts for sale in the late 1800’s. Most of the parts used are also from that time period or earlier. Check out her Facebook page for more of this unique art.